The National Corvette Museum in Bowling Green, Kentucky, has 14 muscle cars, hot rods and street rods on display as part of its “American Muscle” exhibit. The National Corvette Museum in Bowling Green, Kentucky, has 14 muscle cars, hot rods and street rods on display as part of its “American Muscle” exhibit. The exhibit runs through March 25. According to Bob Hellmann, facilities and displays manager at the museum, the exhibit hall was designed to showcase a variety of exhibits that appeal to new audiences. “This allows us to give our visitors 45 minutes of Corvette, and about 15 minutes of something different during their tour,” Hellmann said. The American Muscle exhibit has cars from 1932-1973 and a variety of makes and models. 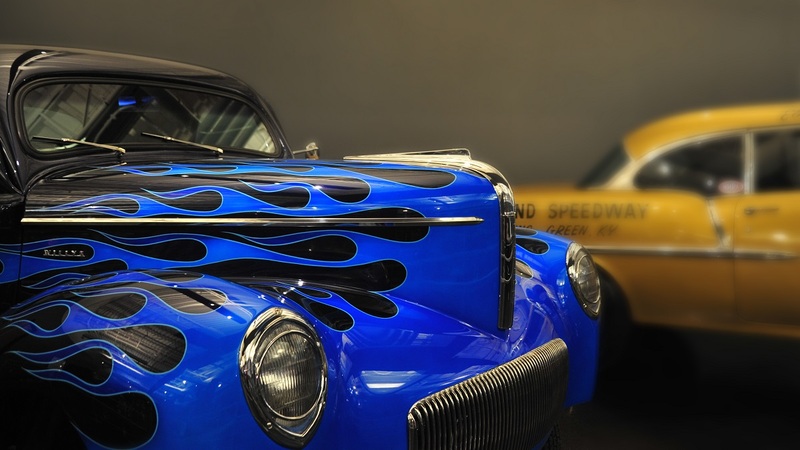 “First, we started out with more of the street rod / hot rod type vehicle, then we broadened into the American muscles. We’ve tried to find some pretty neat stuff,” said Daniel Decker, vehicle maintenance and preservation department coordinator at the museum and creator of the American Muscle exhibit. 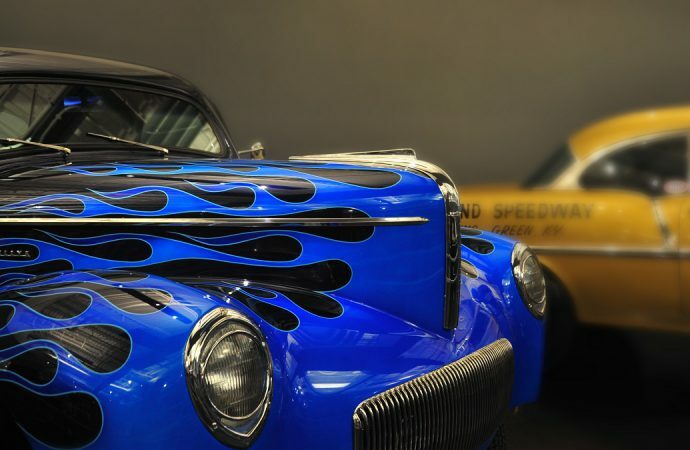 Decker had help assembling the exhibit from a friend who had curated a collection of cars from Barrett-Jackson auctions and another friend who had 30 cars sitting in his garage, as well as many others who offer to loan their cars to the exhibit. “I think for many folks, this exhibit will bring back fond memories of a car they once owned, or maybe a car their parents or grandparents would drive around in when they were young” Decker said.